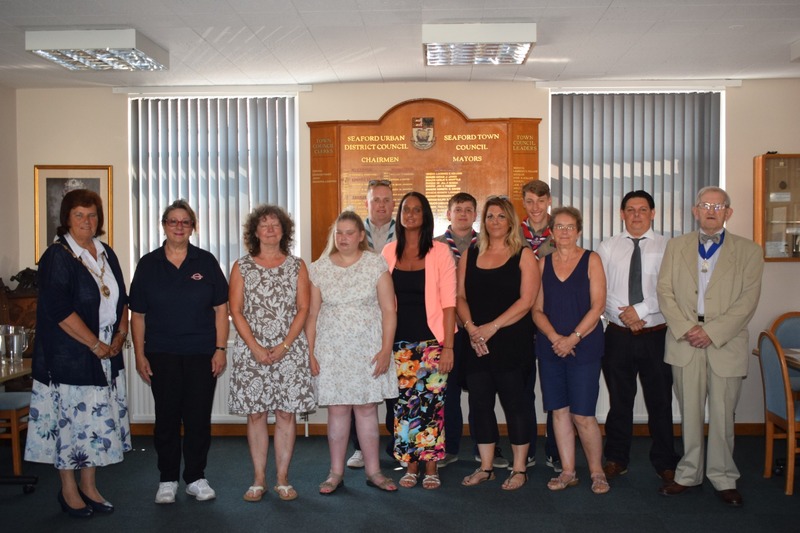 Seaford Town Council is pleased to announce that following the 2018-19 grant process, ten local organisations have been awarded large financial grants totalling £17,650. Large grants are those that amount to over £500 and all those awarded will directly benefit the residents of Seaford and the town itself. 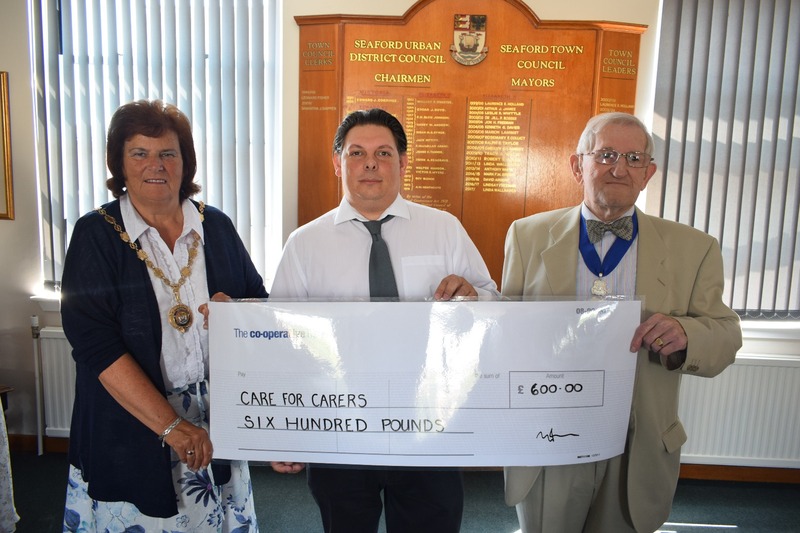 A Large Grants Presentation was held at the Council Chambers on 6th July 2018 where those representatives able to attend were welcomed by The Mayor of Seaford, Councillor Linda Wallraven and the Chairman of the Finance & General Purposes Committee, Councillor Mark Brown and formally presented with their grant cheques. The Council would like to thank these organisations for their continued hard work and contribution to the Town and is thrilled to be able to assist and support these organisations where possible. Care for the Carers were awarded £600 to run two joint cinema trips for local carers to the Seaford community Cinema which would support up to 16 carers and the person they each care for. Cuckmere Buses were awarded £750 to meet ongoing annual running costs and void deficits. 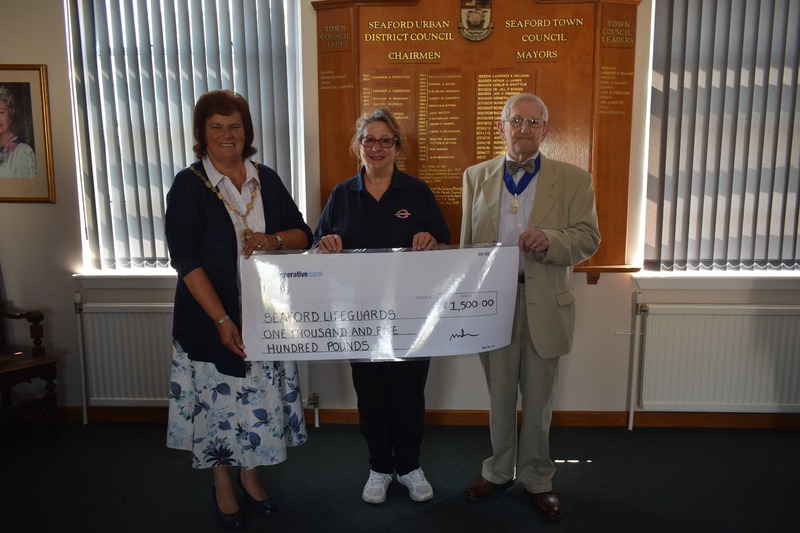 Seaford Community Events Committee were awarded £1,500 towards the cost of Event Management and Health and Safety provisions for Motorfest in June 18. Seaford Lifeguards were awarded £1,500 to provide suitable protective clothing for operational Lifeguards and Beach Support Team members. Seaford Musical Theatre were awarded £700 for maintenance and repair of the building; auditorium, foyer, toilets, changing rooms and storage areas. Seaford Scouts were awarded £600 to contribute towards three scouts and a scout leader all from Seaford to attend the World Scout Jamboree. SeeAbility were awarded £1,000 to help to support SeeAbility’s Vision Rehabilitation Service. 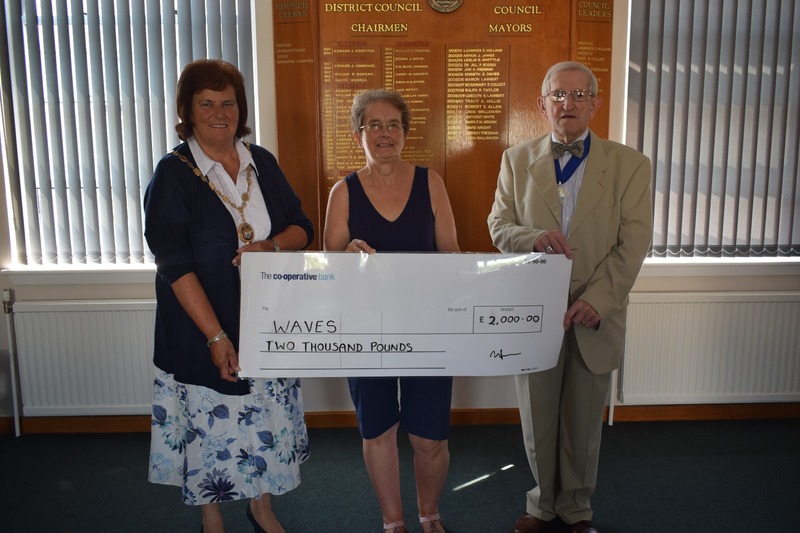 Waves Seaford Ltd were awarded £2,000 to support over 10 families through counselling and to run two Anger Management Courses for children in Years 5, 6 and 7. Lewes District Citizens Advice Bureau were awarded £5,000 which will contribute to staffing and overhead costs. Community Transport for Lewes Area were awarded £4,000 towards Dial-a-Ride, Travel Club, non-emergency medical appointment transport, vehicle maintenance and community group support.